With Father's Day around the corner, I have been scouring the Internet for the perfect Father's Day gift that Ollie and I can create together. I think a homemade Father's Day gift is so much more special than anything we can buy. 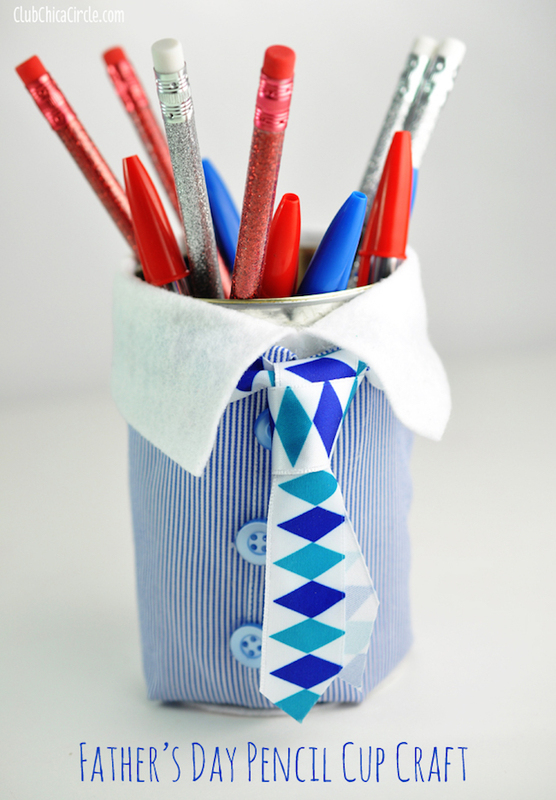 That being said, rather than make him a candy bowtie, We make him something useful. Below are a few of the super cute Father's Day Crafts that are not only super easy to make but useful too! 1. The Handprint Baseball is perfect for little baby hands. 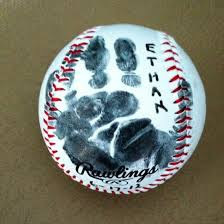 What dad wouldn't love a baseball handprint paperweight? 3. 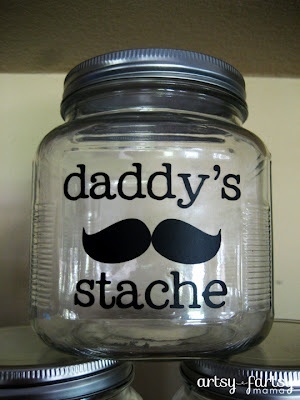 Father’s Day Stache Jar Fill full of daddy's favorite treat or golf tees! 5. 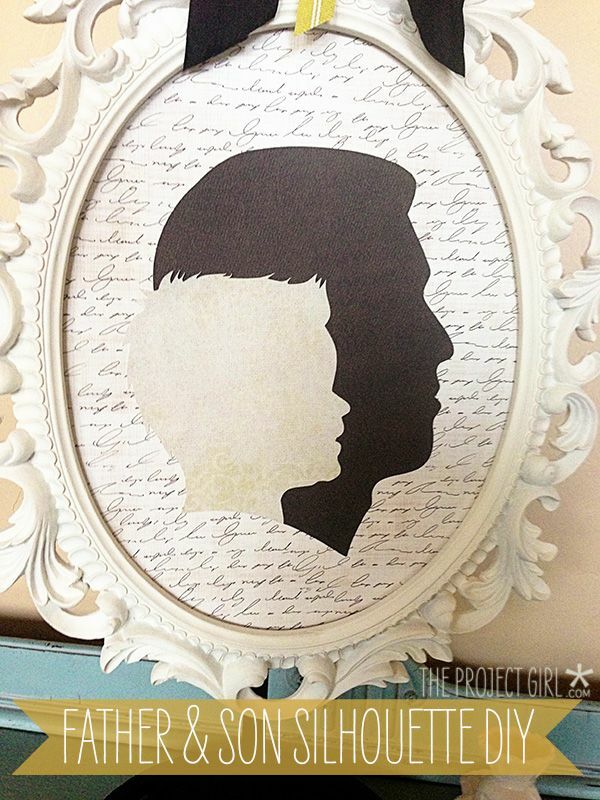 Father & Son Silhouette This is super-duper easy to make. I'm going to give it a try for a Christmas ornament! 6. "We Love You Because" Photo Collage I LOVE LOVE LOVE this idea. Kid's say the best stuff. 7. 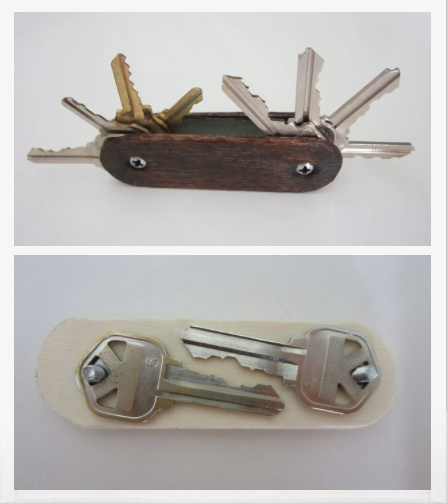 Swiss Army Key Ring This is an awesome gift for a crafty kid to make for dad. 8. 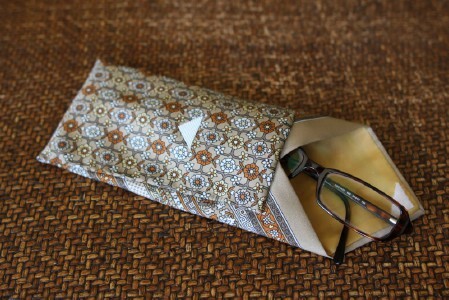 Neck Tie EYEGLASS HOLDER This is an adorable idea and fun spin on the traditional Father's Day tie gift. 9. Luggage Handle Cover If dad travels often, this will always remind daddy of his family while on the road. The next time we fly, I'm making this. SO much nicer than crazy ribbons and whacky luggage tags. 10. 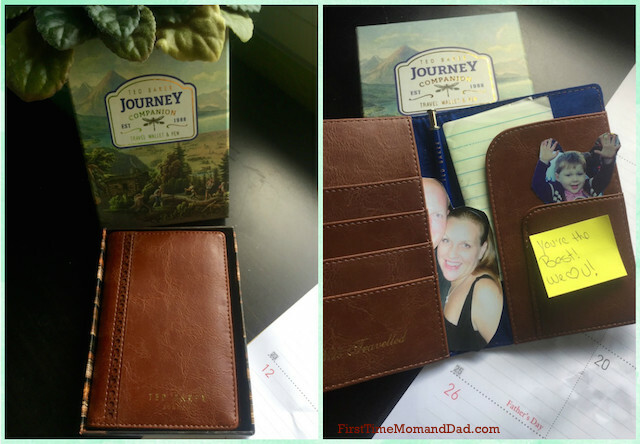 A Wallet Full of Surprises! 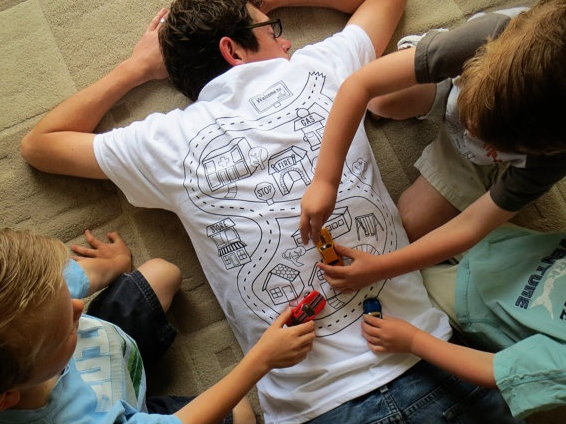 EVERY dad wants this shirt! Every. Single. One. 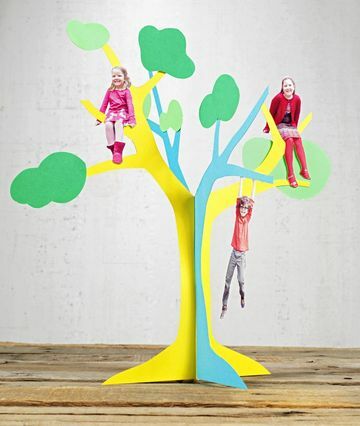 The 3D Family Tree From Made By Joel is so easy to make and so cute. 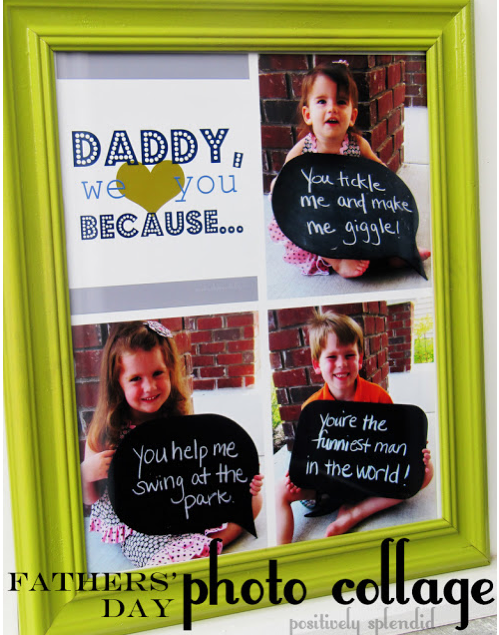 I'm thinking a jewelry tree and laminated photo cutouts could make a great gift that will last! 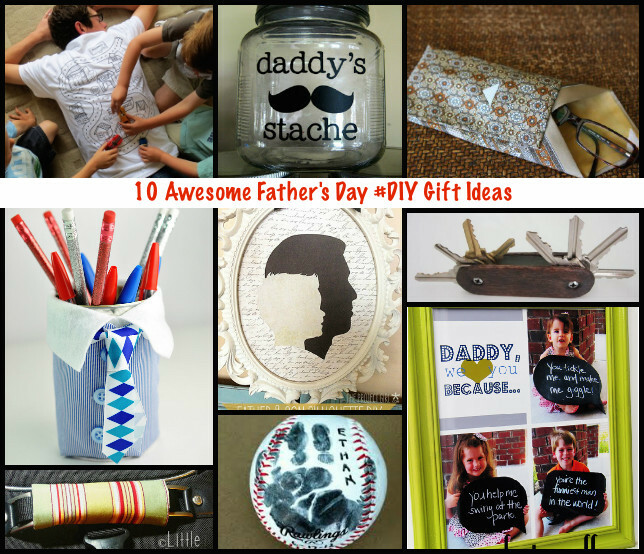 Make Dad A True King! The photoshop lover can go crazy with this one. 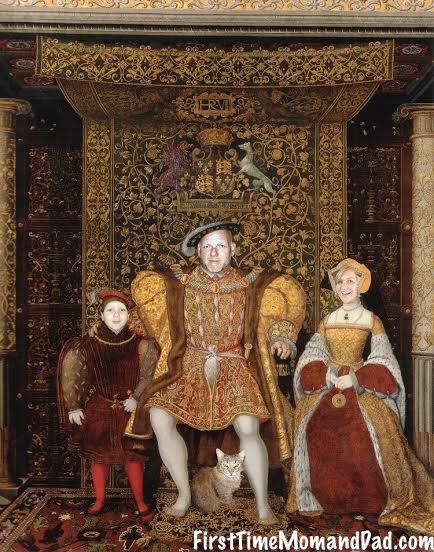 Find a fun photo of royal proportions and stick your family's heads in the photo. If you are savvy with a photoshop program, this is not that difficult. 2. Find photos of each family member with their head pointing in the same direction of the person they will replace..
3.. Cut out then paste your each person's head on to the corresponding person. 4. Fiddle with it for five hours to make it just perfect. 5. Drink a bottle of wine. If you are shaking your head, thinking, "no way can I do this!" 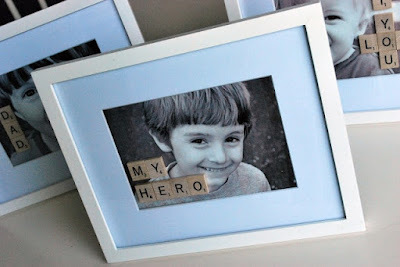 Then just head over to BlueMountain for some super cute eCards and customizable coupon books and Father's Day Printables. 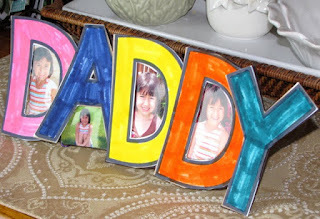 There's even a cute article about, "What to Write in a Fathers Day Card" you might find helpful! *I partnered with Blue Mountain to create this post. All opinions are my own.